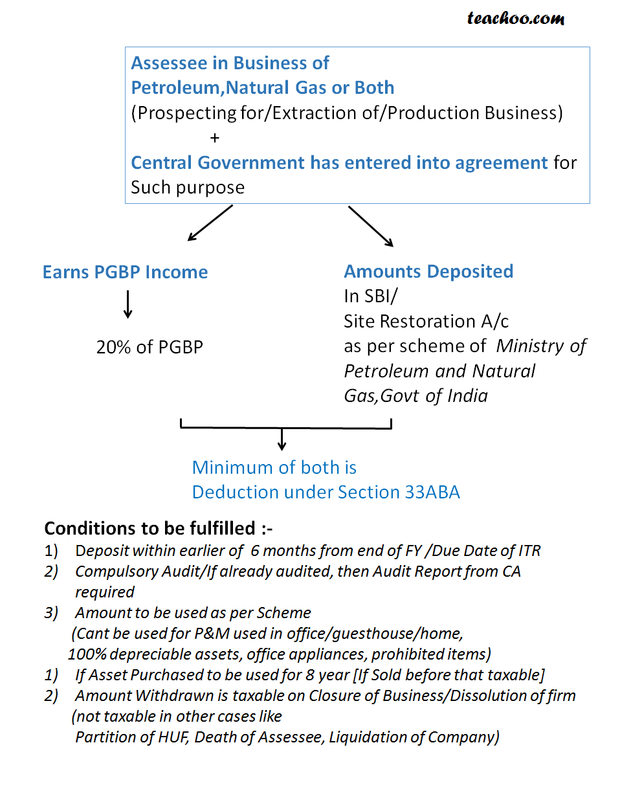 Compulsory audit required by CA, to claim deduction, CA should give report in Prescribed form (Form 3AD). How to utilize amount Deposited . Purchase of machinery which is to be used in office / home / guest house . Any machinery which is used is used for manufacture of prohibited item mentioned in Eleventh schedule . If amount withdrawn or but not used as per scheme then it will be treated as income and charged to Income Tax. If transferred it will be treated as income of year in which it is transferred. However in the following cases these is no restriction of 8 years . Conversion of partnership into company if all assets liabilities are transferred to company and all partners becomes the shareholder/members of the company .